I am forever inedbetd to you for this information. 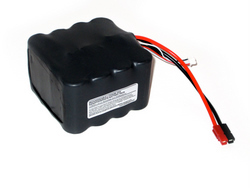 The 4S2P battery pack has a nominal voltage of 13.2 volts and a total capacity of 4.6 Ah. Capable enough to power a 100 W rig for longer periods of operation than our other packs, and will allow you to run your lower-powered rig for many hours. All Buddipole battery packs come with an internal self-resetting polyswitch (to prevent short-circuits) and installed Anderson Powerpole connectors. A double layer of heavy-duty heatshrink is applied to provide maximum protection for outdoor use. 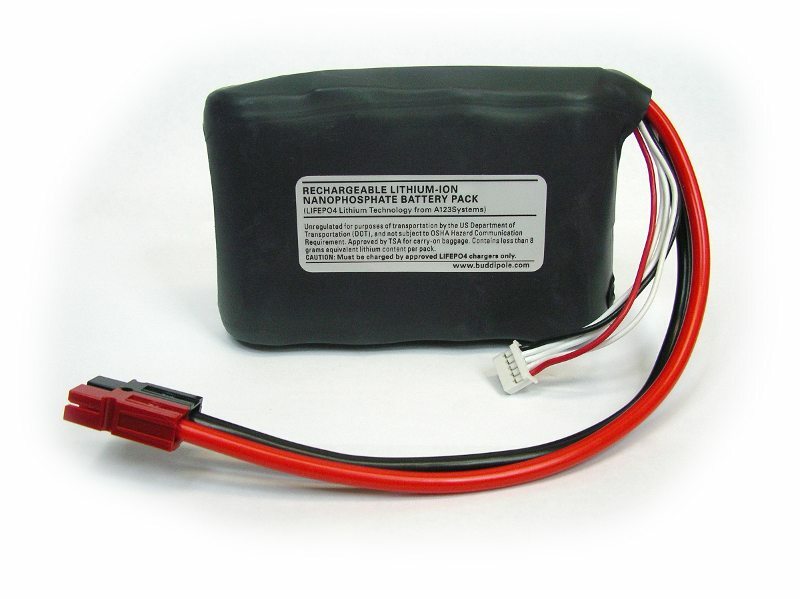 The 4S4P battery pack has a nominal voltage of 13.2 volts and a total capacity of 9.2Ah. Capable enough to power a 100 W rig for longer periods of operation than our 4S3P pack, and will allow you to run your lower-powered rig for many hours. All Buddipole battery packs come with an internal self-resetting polyswitch (to prevent short-circuits) and installed Anderson Powerpole connectors. A double layer of heavy-duty heatshrink is applied to provide maximum protection for outdoor use. It's a dipole... It's a vertical... It fits in your travel bag! 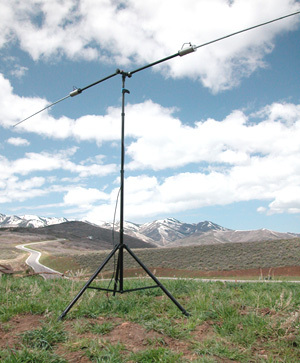 The Buddipole™ is more than an antenna, it's a versatile system for launching your signal. 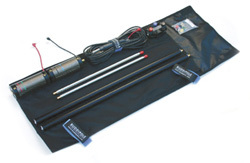 Optimized for transmit power and proven for DX work, the Buddipole™ is the secret weapon used by HF portable operators all around the world. Precision engineered for maximum performance using ultra light composite materials and High-Q coils. Zero-loss balun with Quick-Connect feedpoint. Antenna system comes complete with two 22" black anodized aluminum arms, 2 multi-band coils (40m - 10m) with adjustable coil tap system (includes 3 removable taps, with coils premarked for 40, 30, 20, 17, 15, 12, and 10 meters -- 6 and 2 meters are configured without coils), 2 stainless steel telescopic whips, the VersaTee™ with 3/8" x 24 adapters, BNC/PL259 coax connector assembly (includes RF beads) with 25' of coax, nylon "packcloth" carrying bag with stretch velcro strap, black thermoplastic carrying case, and operating manual. 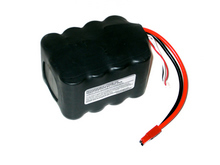 Our Low Voltage Alarm was designed to alert an operator to a battery pack which is getting low in voltage. With an adjustable knob on top of the case the threshold voltage can be set to provide an audible and visual warning when the voltage starts to dip and it's time to change packs. As an example, if the threshold voltage is set at 11 volts, the LVA will blink green while the voltage stays above 11.3 volts. Once the voltage dips below 11.3 volts the LED will blink orange until the voltage hits the threshold setting of 11 volts at which point the LED blinks red and an audible beep initiates once every 5 seconds. This is a very useful item which can prevent a hard shutdown in the middle of that rare DX qso! Lots of reasons to recommend this charger. We particularly like having the option to charge 2 packs at once during Field Day, DXpeditions, or Emcomm activities. With this charger you can charge with up to 15 amps. And we put PowerPoles in place so you don't have to and include 2 wire harness adapters that connect to our A123 battery packs. Here's more information on the 10XP from Cellpro: In addition to all the great features found in the original Cellpro 10s charger, the new Cellpro 10xp adds multi-chemistry charging capability, much higher charging power and automatic charge/discharge-to-storage cabability. With support for up to 15A max charge rates, and AUTO Charge rates (1.0C, 2.0C, and 3.0C), the CP10XP is capable of safely charging individual or multiple battery packs. Charge single Li packs from 1s-10s or two packs of 1s-5s simultaneously. Because the CP10XP can output up to 600W or power (@ 30V DC input), it's also a great solution for parallel charging of LiPo packs. And because it supports multi-chemistry, it can also charge NiCd and NiMH – up to 28 cells (non-balanced) and Pb (Lead) – up to 24V. The Cellpro 10XP also sports advanced features like multiple real-time data screens, individual cell IR readout during charging, Power Management features like adjustable input current limiting and low-voltage shutdown (to protect your existing power supply), free PC Charge Control Software (CCS) when using the FUIM2 or FUIM3 PC USB interface (available separately), and more. 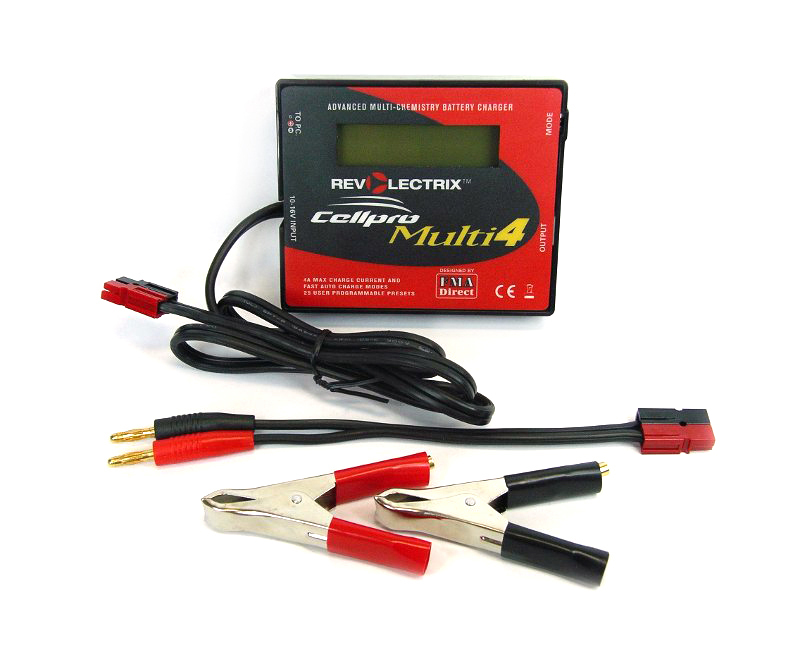 With the FUIM2/FUIM3, the Cellpro 10XP charger supports 2-way PC communication. Use the CCS to update firmware, set Power Management parameters, alter charger options and create, upload and modify up to 10 user presets. If you are looking for a simple, customer-friendly charger in the 600W class, this is the one. Our new mini-coil was designed for the lightweight/compact crowd who primarily operate on 10m - 20m. Great for backpackers, travelers, SOTA enthusiasts, or anyone who is interested in minimizing the size and weight of their kit.